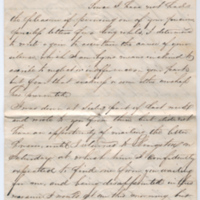 Tags: daily activities, Emotions, Family affairs, flirting, Georgia, Kate, Kingston, letter writing, Love, Mill Creek, social activities, social conditions, social life, Social Relations, Thomas F. Jones Jr. 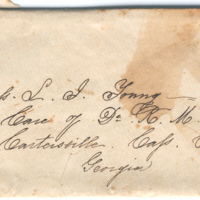 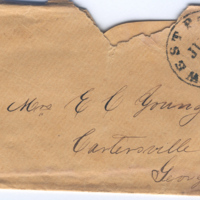 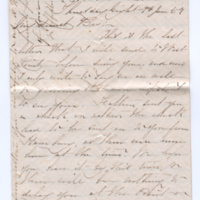 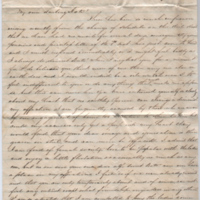 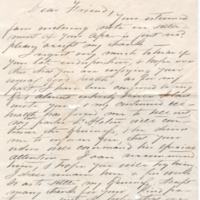 Tags: agricultural conditions, Columbia, culture, daily activities, Emotions, Florida, Georgia, Kate, Kingston, letter writing, Living conditions, Love, Love Letter, mail, Mill Creek, passion, Social Relations, status, Thomas F. Jones Jr.
A letter to P.M.B. 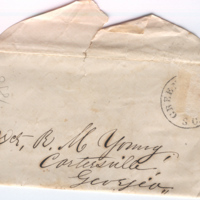 Young from a friend who is sick and unable to leave home.